Beghetto, R. A., Kaufman, J. C., & Baer, J. (2015). 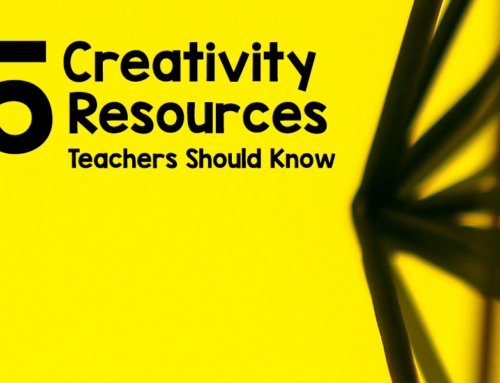 Teaching for creativity in the common core classroom. New York: Teachers College, Columbia University. 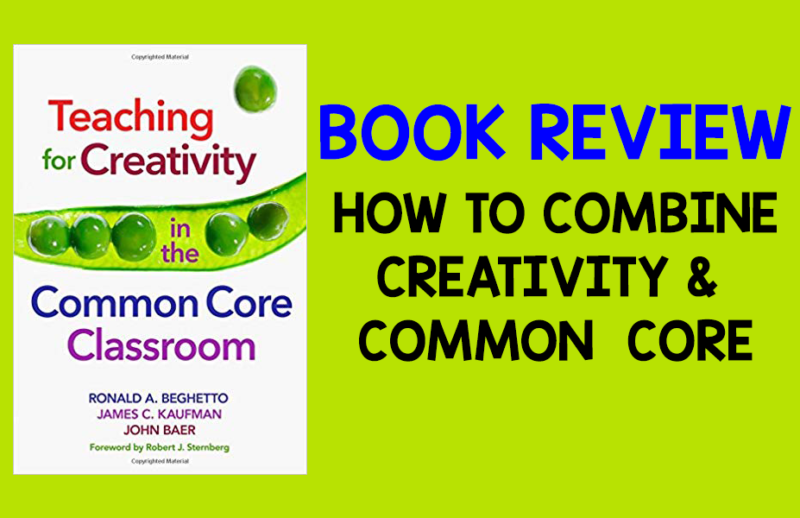 Teaching for Creativity in the Common Core Classroom allows us an opportunity to look at the creative classroom compatibility of common core standards and creativity. The book walks teachers through examples and case studies as it also strives to give confidence to teachers to understand and see how creativity and common core can exist together as well as enrich each other. Beghetto really emphasizes how creativity can thrive in constraints, which is often a counter intuitive idea for many people. This book arrived at just the right time. Teachers are split down the center with common core with advocates as well as naysayers. Advocates of common core believe in a country wide approach to standardizing what is learned, and opponents of the standards are concerned with how the standards are being implemented and the growth of standardized testing becoming the norm. Teachers feel they are at a crossroad. Teachers value creativity but are unsure how to go about implementing creativity within the constructs of state standards. In layman terms creativity is seen as “out of the box” thinking, so how can teachers think outside the box when there are standards AND standards are the box. Beghetto approaches this notion carefully. He explains that just with any other creative endeavor, it is with the way that you approach it. Your approach can either open the standards up to creative thinking or keep you stuck. We must learn to think more creatively “within the box” is his suggestion. As in many creative problem situations there are usually constraints and he proposes that constraints help with creativity. In the book Baghetto in no way condones or condemns the common core standards but proposes that we look at the common core standards with fresh eyes and figure out the best and most creative way to approach them. Just like everything else in life it is your perspective about the situation that is either going to allow you to be creative or not. Teachers will always have some sort of standards to adhere to, whether common core or another. This book helps the teacher to reframe their thinking and look at standards and has them question how to be creative within the standards and what that would look like. Creativity requires constraints. This is one the main points made by the book. Creativity researchers define creativity within task appropriateness as well as originality. Helping students creative expression within the appropriate context. When we think just originality, we can’t understand how that would make sense in the classroom unless we have a way of measuring it. In the case of the creative classroom it is the student’s originality expressed within the constraints of the standards, since standards can be measured. Teachers will feel more freedom when they accept the constraints and become open to how they and their students will be creative within them. That includes creativity in the delivery of content as well as allowing for uncertainty and creativity in outcomes for students. Beghetto also explores the misconceptions about creativity and how to foster it in the classroom. A lot of people feel like they are not creative themselves. If you feel you are not creative person, how then can you inspire and nurture it within your students. Creativity is a human trait, so it can be expressed in anything. Teachers need to recognize their own innate creativity. Putting our own spin on something that is relevant within our own context. Domain expertise is important – teachers are probably already doing creative things within their expertise. Just recognizing it and honoring it, will help to model and bring it out in our students. Beghetto urges teachers to not think about creativity in a narrow way. Creativity happens when you learn something new. He has a creativity continuum concept, mini C to big C. Mini C is when someone learns somethings new. To move through this continuum of creativity requires feedback. Anyone is capable of mini c to little c. Moving from little c to pro c requires practice. There is no shortcut. Big C is out of the creators hand, usually after creator is dead. This helps teachers and students will help model/framework to show students to achieve their greatness. This is one of the concepts that I think should be taught to all students. It will help them to see the required work to accomplish their goals. Beghetto proposes that slight adjustments to lessons and in thinking can lead to a large outcomes. For example, using a standard word problem, the slight change can be having students come up with more ways to solve the problem. When students can represent answers in different ways, they are more likely to understand the material better. Teachers can increase engagement and deeper learning with this small creative tweak that forces students to think differently and with a multitude of perspectives. If you want to add creativity in your lessons – start small. Identify small moments within lessons where students can express their twist on something. Creativity is about some risk taking and tolerance for ambiguity, we as teachers need be willing to take those risks. AS we model that sensible approach to risk taking in our classroom, our students will be keener to try something new and take learning risks. Embrace some uncertainty and see your classroom thrive with engagement and deep learning. I found Baghetto’s book refreshing and I resonated with his tone and purpose throughout the book. His style is nonjudgmental and positive. His heart is really in the place of supporting teachers to take small risks in their lesson planning and implementation which will provide lasting effects on their teaching as well as support their student’s creativity, engagement and learning. He encourages teachers to look for opportunities within the constraints and that is what we all must do in order to be creative – in the classroom and out.